A Wi-Fi login page isn't just an extra step for your customers. It provides your business with a way to gather customer intelligence, personalize experiences, and improve your marketing strategy. But let's back up a bit. What is a Wi-Fi login page and does your business really need one? What is Wi-Fi Login Page? When most people think of logging into Wi-Fi, they probably picture the list of networks you can pull up on your smartphone or in desktop's settings. That list of available Wi-Fi networks often lets you connect directly. But login pages introduce another step. If you've set up a Wi-Fi login page, it will automatically open whenever a user tries to connect to your network. Then they'll need to perform some action, like approving an agreement or entering their email address to access the Internet. You've probably logged into free Wi-Fi at several businesses, but not all companies use login pages. Two common alternatives are a password or user agreement. A password-secured network is intended to only give your customers access. Passwords prevent outside parties from using your Wi-Fi and reduce the chance of your network getting overburdened. Yet passwords do nothing to help you with marketing efforts. Other businesses automatically connect you to an agreement page. These pages detail the risks of logging into a public, unsecured network and waive liability. Users simply need to click "Agree" to gain internet access. The user agreement page is excellent for free public locations like a library. But a business should really do more. What Are the Benefits of Using a Wi-Fi Login Page? 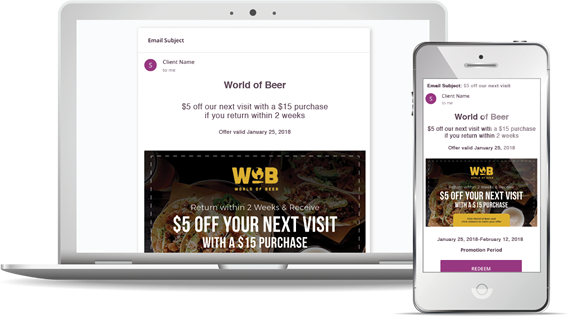 Wi-Fi login pages are an opportunity to reinforce your brand recognition, gather user data, and begin providing a personalized experience for visitors. Information collected from login pages and Wi-Fi access pave the way for your business to conduct more effective multi-channel marketing. Before users access your site, they are typically required to enter information. A customer's name and email address are the most important pieces of information to collect. Gathering emails allows you to begin crafting a mailing list and opens up several possibilities for email marketing. Customers who willingly opt-in and remain on your email list are more likely to be or become loyal customers. What Should I Include on a Wi-Fi Login Page? Your login page should be branded with your logo and colors. Customers should be able to instantly recognize the page as part of your business. The most effective login page forms are short and sweet. A customer name and email are essential items to collect. Adding other components is up to you, but ensure it doesn't take too long for a customer to access your Wi-Fi. The ability to login via a third party is an increasingly popular login method. If users can log-in with their Facebook or Google account, they only need to tap a button to access the internet at your business. At the same time, sites like Facebook enable you to view publicly available information such as age and gender. With demographic information, you can personalize your approach for each customer, which increases customer retention and loyalty. While most customers don't mind exchanging their email address for internet access, why not make the decision even easier? Offer to send a coupon for their next visit when customers sign into your Wi-Fi for the first time. Sending this coupon to their email address also ensures that they'll use an active email account to log-in. Wi-Fi is an easy way to spread the word about any loyalty or rewards programs at your business. Before users access your Wi-Fi, let them know about the perks of joining your rewards program. Provide a simple way to sign-up on the same page, like a checkbox placed just above the button they'll click to submit their email. Setting up a Wi-Fi login page enables your business to collect data that will improve your marketing strategy and customer experience. Don't let your free Wi-Fi become a wasted opportunity!